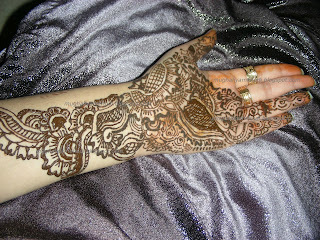 Some of my more mehndi designs. I really like the first one giving a Mughaliya touch. 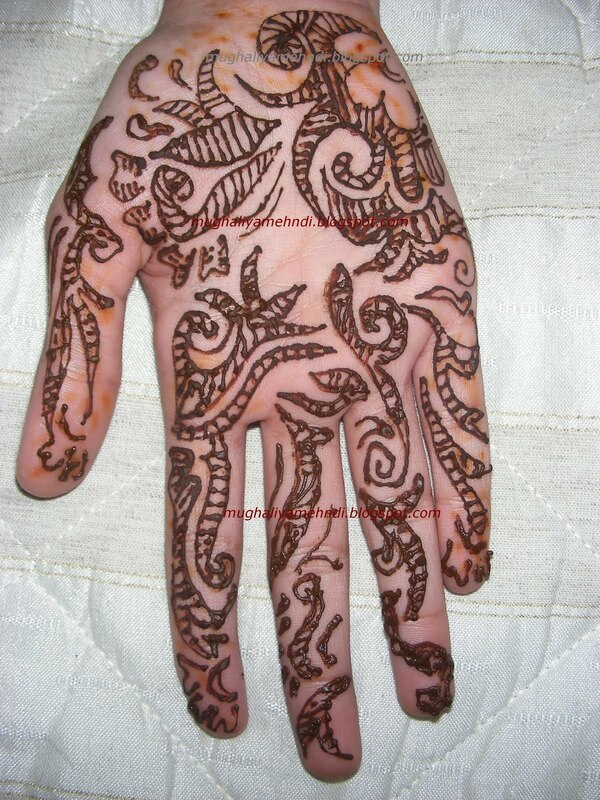 Will suit alot for bridal function. In second design I have given a bit modern touch, do try it and show it to your friends. 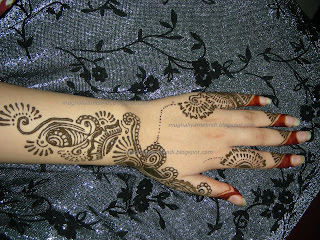 The third third and last picture are my most favorite design. 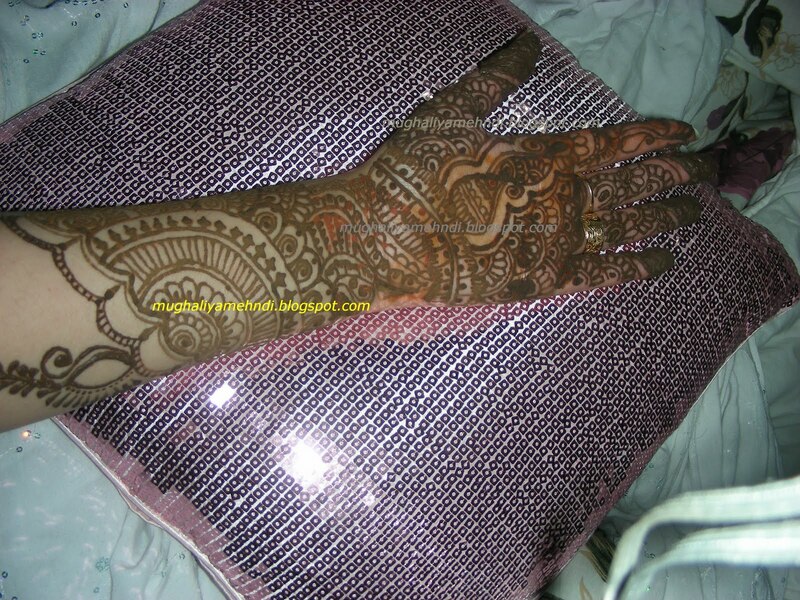 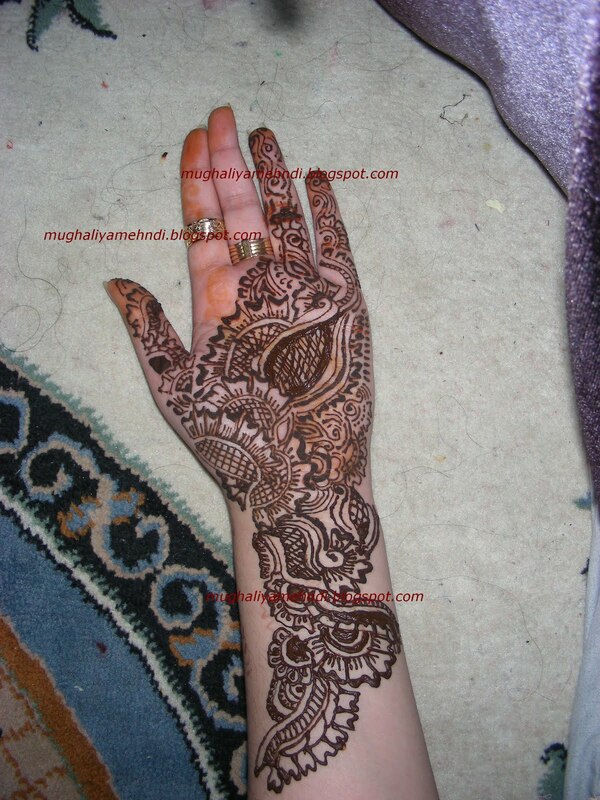 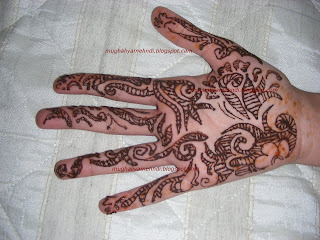 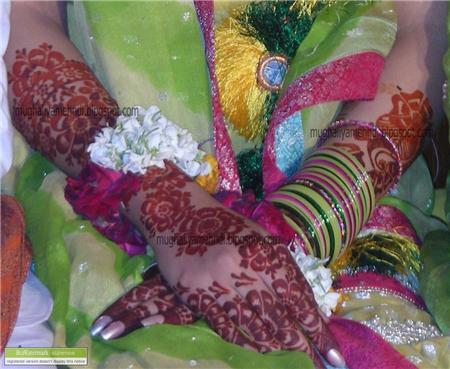 Heavy mehndi on the complete hand apart of two fingers really suits alot.